For info on Fancy subscriptions and a coupon code, jump down below. If you’re still with me, let’s move on to the review of the December 2013 Jennifer Love Hewitt Fancy Box. It seems this is the month that Fancy decided to test my blogging abilities. First, there are no little cards to tell me about the products, but perhaps that’s not necessary since this box looks surprisingly familiar. Why is it familiar? 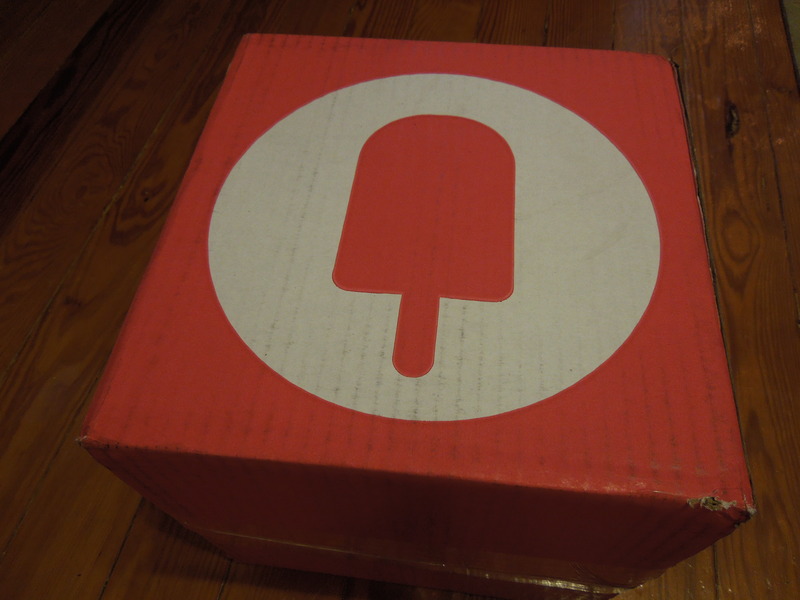 Because it’s nearly identical to the very first Jennifer Love Hewitt Fancy box that was sent out in May. Let’s discuss. A fluorescent orange beanie went out in the JLH May box, so technically this black one is a huge improvement. While I like knit hats, I don’t really do logos and this is pretty boring as far as hats go. (I like a little flair with my headgear). Fancy is supposed to be about the fun cool stuff you might not think to buy. I can get these hats at any street corner in NYC for about $5. To its credit, the beanie is well made and seems durable. It would probably be a pretty nice gift for a guy who doesn’t mind wearing logos. This exact bracelet was included in the May box. 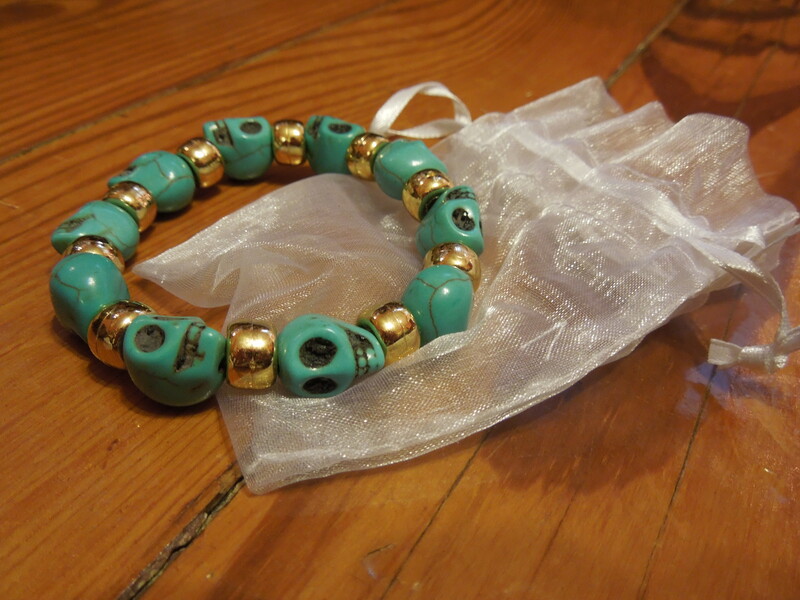 From a fashion standpoint, I like the idea of mixing whimsical little skulls with a metallic bead. From an execution standpoint this item fails. If you’re going to string one strand of beads on an elastic cord, those beads need to be fabulous in order for your jewelry not to look cheap. These beads are not fabulous, heck the gold ones are basically just pony beads. It’s an incredibly cheap looking bracelet and looks more suited to middle-schoolers than a grown woman. This would cost you at most $3.00 to make yourself (and I’m being generous). I find this item to be the biggest disappointment in the whole box. 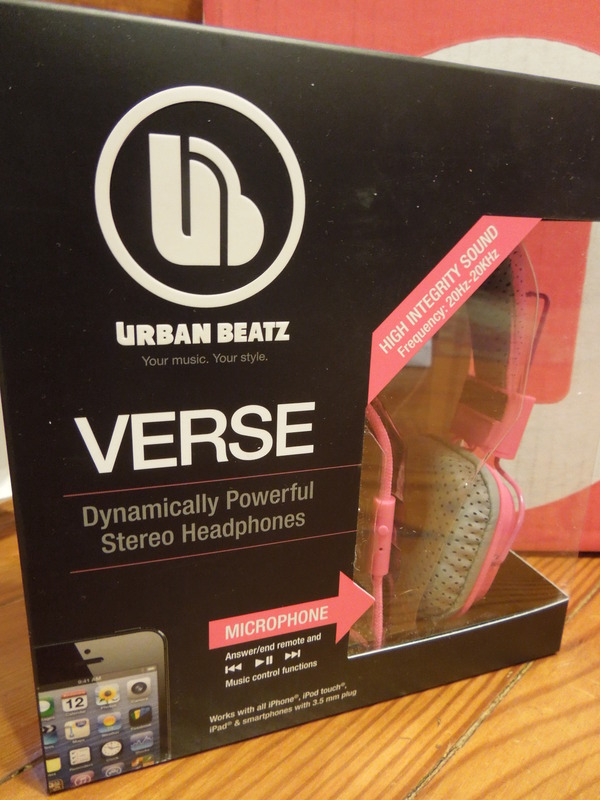 These headphones were included in the May box but in mint instead of pink. I would have loved the mint as that shade is more my speed, but I’ve been looking for this style of headphone to use on cold days (I figure they can double as earmuffs). The pink is fun even if it’s not what I would have chosen. The May box included the basic black wayfarers (shown in the link) while this one had a patterned pair. I could always use an extra pair of sunglasses and I like the print and shape of these, however it seems an odd addition for this time of year. They seem way better suited for that earlier box. I do prefer this print to the solid black they sent out before. With a Fancy discount coupon and a couple of referral dollars I was charged $25.30 which I used my gift card to cover. The Fancy retail of this box was $128.00 and the retail with the lower Amazon price was $120.50. 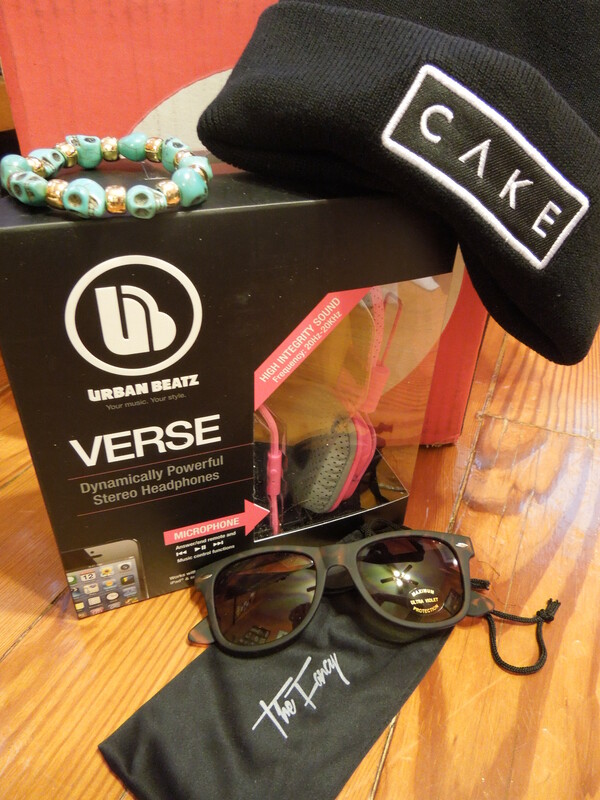 Unfortunately I think both the beanie and the bracelet are far over-valued for what they are. Thankfully, the headphones coupled with my discount made this box worthwhile, because at full price I would have been hugely disappointed. Even putting aside the fact that this box is pretty much a duplicate of a previous one and didn’t include any cards, it still doesn’t measure up. The bracelet is cheap, the beanie is boring and they could have done so much more interesting stuff for the holiday season. I wasn’t subscribed at the time of the May box, so thankfully this box isn’t a duplicate for me. I’m interested to see what happens for currently subscribed folks that received that May box already. Will they be getting something different or a redux of that same box? I have to say that if there is a totally different December Jennifer Love Hewitt box that other subscribers receive, I will be uber disappointed and probably put in a complaint to Fancy. While the original subscription is different per customer, the celebrity ones are supposed to be the same for all the subscribers and I feel like I’ve gotten the leftovers instead of a brand, spanking new celebrity box. So the question for you dear readers is: even if you hadn’t received the box before, would you be upset to receive a duplicate of an older celebrity box instead of the current one? I had canceled and resubscribed in order to use a coupon code so that it what caused me to receive the “Welcome box” from May. Fancy was gracious in their response and also gave me a $15 giftcard. If you had a smiliar situation to mine, I’d suggest dropping them a line. I’m not sure which other subscriptions are affected by this type of problem, but I was told the original Fancy box is not. This “welcome box” issue is going to be extremely problematic for people that like to experiment by trying out different Fancy boxes thus canceling and resubscribing frequently. So currently, if you are interested in the Jennifer Love Hewitt Fancy box and decide to subscribe today you will recieve this “Welcome Box” and not whatever the current box is. After your welcome box, your subscription should just pick up with whatever is current. I strongly hope that Fancy rethinks how they’ve set up this subscription because if someone hates this box, they will still need to purchase it in order to get access to a Jennifer Love Hewitt subscription. They are going to run into a lot of people just opting for a different subscription at Fancy or going to one of its competitors. There will also be quite a few confused and angry subscribers who will read blogs like mine and wonder why they are getting a different box than everyone else. Please fix this Fancy before the small problem becomes a big one. Now is a fabulous time to try out Fancy. For the Holidays they have 20% off everything on their site: Just use the code HOLIDAY at Checkout! too bad they made the box so similar to the previous one. I guess you got some cool stuff though. not sure I would subscribe. So far this box is really hit or miss, but I think that’s the trend with Fancy. The Cocha Rocha Fancy box seems like it’s more consistent with the types of items it includes. So you got that first box and they still sent you this one as well? So far with the JLH I either really love the box or am very disappointed. There doesn’t seem to be any inbetween. If you’re looking for a good lifestyle box, I recommend Popsugar. If you like fashion and are willing to go Quarterly instead of monthly, Nina Garcia’s was my favorite box this year. I got this box too but if you look on instagram and other blogs its a completely different box “travel themed” plus my same box as yours says on receipt “JENNIFER LOVE HEWITT FANCY BOX NOVEMBER” so this isnt making any sense to me. Is this a “black friday” box? I’ve been doing some snooping around the internets, and it seems like those of us that used the black friday coupon got this version of the Jennifer Love Hewitt box, while others got the travel themed one you mentioned. I’m going to drop Fancy a line and see what they have have to say. I’m actually less concerned about this box and more concerned with what my next one will be. Will we get the travel themed box or whatever is current? Thanks for writing in. I work with the team here at Fancy, and I’m more than happy to help! 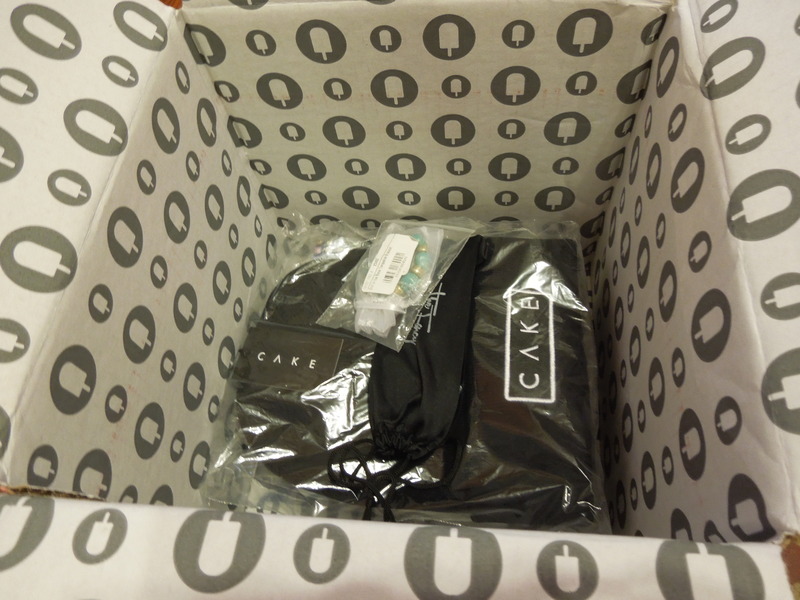 The November Fancy Box you received was a starter Fancy Box, meaning – as your first order – it was a selection of Jennifer Love Hewitt’s favorite items. Some may have been featured in past boxes, but I assure you Jennifer put a lot of thought into this November pairing. Please keep in mind, we are happy to process an exchange for one of the products in your box. Just let us know what you are sending back so our curators can best identify what to send you as an alternative. 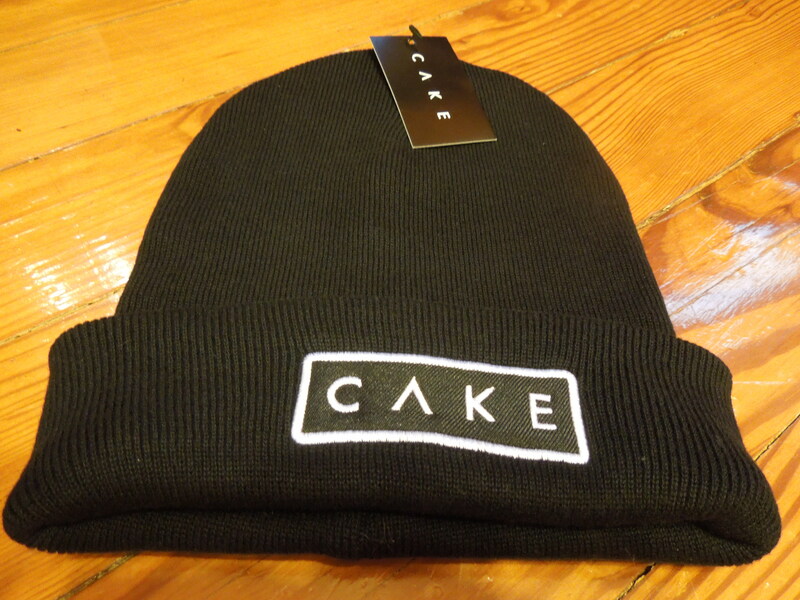 –that’s what fancy replied back to me, and yes I’m sending back my cake beanie lol! I am set to get my first Kelly Rowland box on this Friday. I don’t know if it will be the Welcomed situation like with JLH’s box. If so, I am okay with that as I really liked those items in KR’s first box. Hi Kim! You can always shoot Fancy’s customer service an email. They are really responsive and they’d be able to tell you which subscriptions have the “Welcome” box. The only one I know for sure does not, is the original Fancy. Thank you for sharing! December was my first JLH box too and I got different things from you (except for the green bracelet). I was wondering why I got so many repeats from old boxes I’d seen reviewed online, and this explains it. I already cancelled my subscription–wish I’d seen your post first..I might’ve given it another month. You’re welcome. I have no idea why the Jennifer Love Hewitt box seems to have this weird issue. I’m hoping Fancy corrects the situation. I got my JLH box today that I ordered on Black Friday and got something that was completely different as well ! I’m kind of bummed bc I was hoping for those headphones… but I got the skull bracelet, the tea dish that was from a previous month, a jewelry roll, and a mug that looks like a camera lens. I’m pretty disappointed, bc at least the headphones make the box worth it. Instead the box I received seems very random, and not well-curated. I’m kind of sad about it. I have another email out to the Fancy customer service so we will see what happens. Same thing happened to me. I got the headphone box first and just today the other “welcome box” with the same exact bad to the bone bracelet, jewelry roll, lens mug, etc. arrived. Two boxes received and still no current JLH. Crazy!!!! I ordered the Ashton box for my brother and he received the current box, no welcome box there. I’m really frustrated to have gotten two welcome boxes and even more so that I got 2 of the same stupid bracelet!!! I don’t even know if the second box is a “welcome” box or some other kind of mixup. I’m still waiting to get a clarification from Fancy customer service. Be sure to contact them. They gave me a refund for the second box because of the duplicate items, but haven’t responded yet about making sure my subscription is up to date with the current boxes. This is the exact box that I got. I hate the bracelet but the headphones and sunglasses make up for it. I was really looking forward to the travel themed box so I was pretty disappointed that we got a “welcome box” instead. I’m really hoping they change the setup on this. Part of the appeal of Fancy is that you can easily cancel and resubscribe, making it fun to try out different celebrity boxes. If someone wants to skip around to try different ones, they are going to end up getting that same JLH welcome box over and over.